My dad gave me this book a few summers ago and I have recently been reading, rereading, and studying several sections of it. 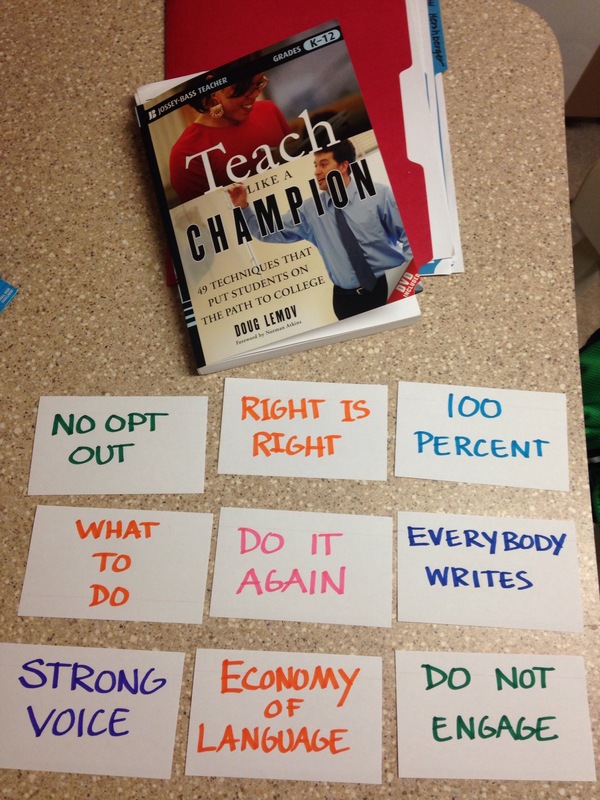 I picked nine strategies, wrote them on index cards and plan to hang them near my desk as personal reminders. Yes, nineteen years of teaching and I’m still learning (and making study tools). Apparently, I am a nerd. I should be writing an IEP, my IPDP, or my Quarterly Assessment, but this kind of school work is what really matters.